We assist in the removal of negative items| Negative Accounts| Credit Clearing. 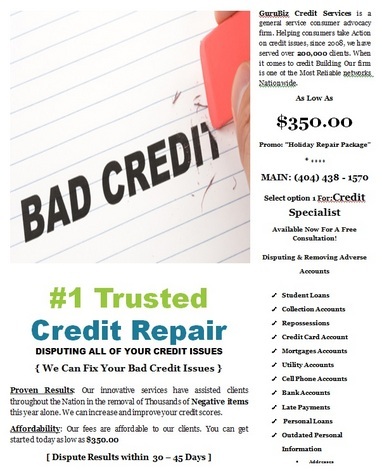 We can fix your Credit issues within 30-45 days get started today as low as $350.00. Receive a free consultation now! Contact us today: 404-438-1570 or visit our Website.